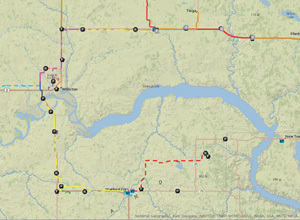 The oil boom in northwestern North Dakota created a frenzy of industrial activity and economic development. The area’s infrastructure, however, was not adequate to handle this extreme growth. The Western Area Water Supply Project (WAWSP) was developed to create a regional water system to supply drinking water from the Missouri River to meet the municipal, rural, and industrial water needs for all or parts of McKenzie, Williams, Divide, Burke, and Mountrail Counties (including the Cities of Williston, Watford City, Ray, Tioga, Stanley, Wildrose, and Crosby). The primary focus of the project is to supply drinking water for estimated 48,000 (peak pop.) expected in 2032. The creation of a robust Geographic Information System (GIS) was the key to managing the vast amount of data associated with the mammoth project that is being completed on an extremely aggressive schedule. Initially GIS was an effective tool to communicate the need for the project and help secure the funding. GIS proved to be invaluable as the project moved from concept through engineering and construction. Once the project was given the green light, hundreds of easements had to be secured prior to installation of the pipelines. GIS specialists overlaid land ownership, pipeline routes, environmentally sensitive areas, future oil drilling locations, geologic formations, and physical land features including ground survey mapping. 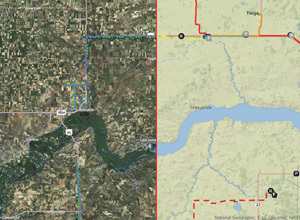 With title data linked to the parcels and the overlapping layers listed above, easement certificates and property acquisition documents for pump stations, reservoirs, and fill stations could be accurately and efficiently produced. The progress of easement procurement was tracked real-time though the web-based and desktop GIS by team members that included appraisers, land negotiators, permit specialists design engineers, attorneys, and project managers. Because of the urgency of the project, surveyors and engineers were simultaneously gathering data, surveying boundaries, and designing on the fly. The GIS kept track of boundary and easement corners found and set by the Surveyors, pipe alignment as it was being designed, and areas with as-builts and one-calls submitted after construction as it occurred. 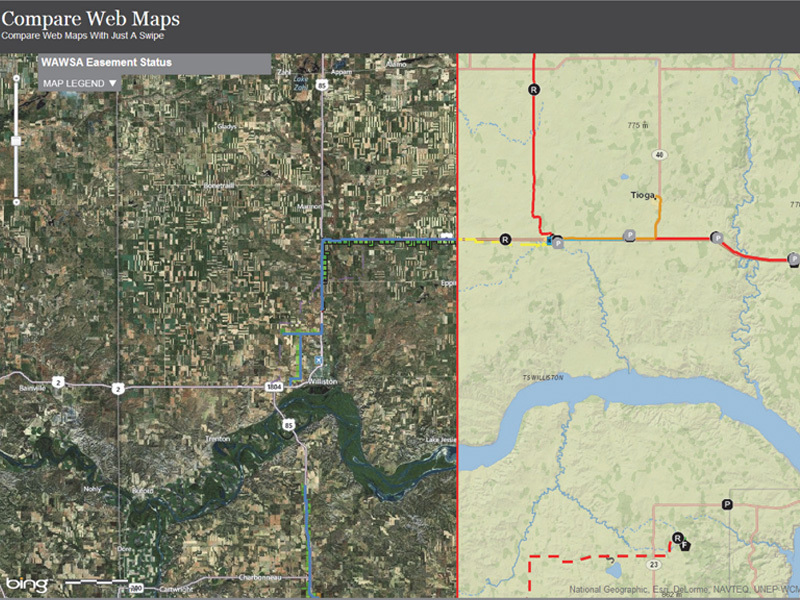 The WAWSP GIS has already proved to be greatly beneficial for the Western Area Water Supply Authority. The parcel mapping, rural water planning, easement information, projections of future cost and water demand, and construction record information will continue to provide benefits with ongoing maintenance and asset management.